The announcement marks a switch to the formal name of the SI award, where past recipients were touted as Sportsman or Sportswoman of the Year, and Fichtenbaum said, "We just felt this was a natural evolution." "We're not making a huge deal out of it," he said. "It just feels like the right time to make the change." "Men's sports have dominated until recently, when women's sports have grown in popularity, and the competition is better than ever," Fichtenbaum said. "There's more of a focus on women's sports now - it's grown considerably." I think Serena has shown everyone what a women can do! She was the first women in 30 years to win sportsman of the year and that is a big deal. She works very hard and she deserves everything that has been given to her. Serena won the award because she showed extreme dedication and love for the sport of tennis. Not only is she able to defy the odds by winning the hardest matches at an older age(for tennis players), but she has proven that her passion for the sport is greater than any other athlete's. Critical thinking question: Serena earned this distinction because of her spectacular season. She won the Australia Open, French Open, and Wimbledon, and was ranked #1 all season. She won 5 titles and had a record of 53 wins, 3 losses. Serena truly deserves this title because she worked very hard this season and was determined to win. I think that it is awesome that another woman won the Sports Illustrated Sportswoman of the Year Award. Serena is a great role model and earned this title. Serena earned this award because she worked hard for it throughout the year. she played great during her matches and she fought to the last second of the match. I believe that Serena worked a lot to get to the level of tennis she is at today. The magazine thought that she deserved the award the most. Serena has proved that she is a great tennis player. Serena Williams earned this distinction not because times are changing and women need to be appreciated more widely (they do), but because she is quite possibly the best tennis player in the world, regardless of race, gender, etc. "'She was the most deserving person for the award, she had an amazing year. 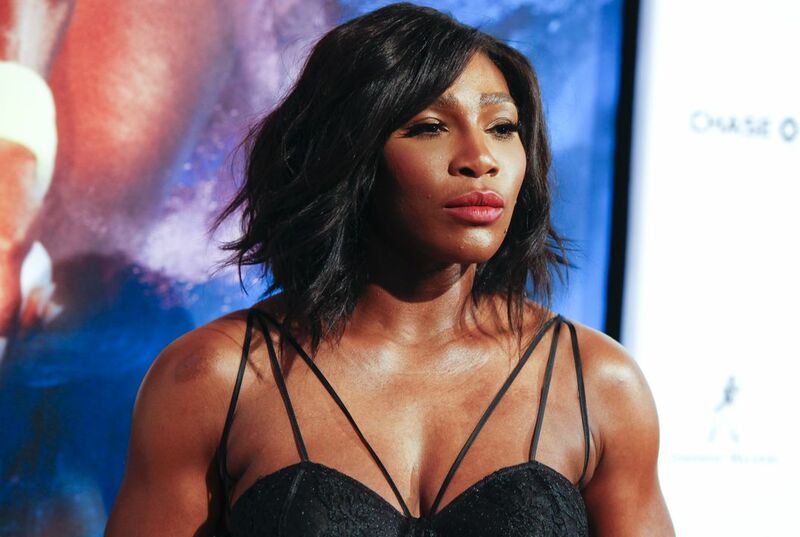 The way she won her events; the fact that she's done this for so many years at such a high level,' said Paul Fichtenbaum" According to Fichtenbaum Serena, "Had an amazing year" and she was, "The most deserving person for the award". I think that main reason she got the award was because she tried and worked hard and that payed off in matches when she pulled through and won continuously. Serena earned this distinction because she was 53-3 during 2015 with five titles.She was No.1 in the WTA rankings all season!she came within two matches of winning the Grand Slam. That is why Serena earned this distinction. Serena earned this distinction by the way she played her matches,and how she won them. She earned this distinction by coming back from a semi-finals loss last year and now went 53-3 with 5 titles. Serena earned this distinction by working hard and loving tennis.